When I was growing up, I never had the chance to play the original PaRappa the Rapper on PS1. I was a Nintendo kid playing hits like Banjo Kazooie and Mario Kart 64 back then. Even with its re-release on PSP, I had never played PaRappa until I started up the Remastered version. Aside from the cutscenes that have not been touched up, the remaster looks incredible in widescreen. It looks like it would be a brand new release on PS4. For the most part, PaRappa the Rapper Remastered holds up, but it is brought down by some trial and error gameplay and an infuriating fourth level. The original game only featured 6 levels, and that stays the same here. 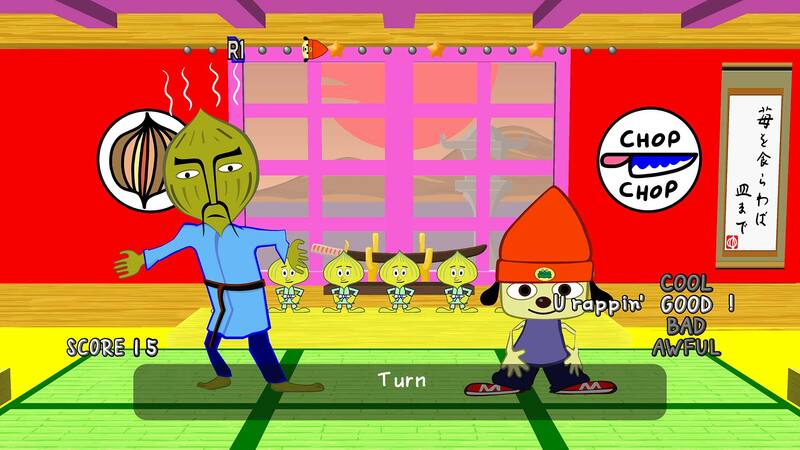 In each level, you’ll rap along to songs with others instructing PaRappa on how to do a certain task. Through the game, PaRappa is trying to impress his love, Sunny Funny. He’ll rap along to instructors teaching him how to do activities such as karate, driving a car, and baking a cake. On the surface, PaRappa the Rapper seems to be a pretty straightforward rhythm game, but I noticed that playing the notes as they come isn’t a guarantee that you’ll finish the stage with a “Good” rating. One thing that PaRappa focuses on is freestyling. You’ll need to try out different combinations of notes to increase your score and obtain the “Cool” ratings, which are only available after you beat the game. Getting a rating of “Good” will allow you to progress, but completing a level with a “Bad” or “Awful” rating will have you replaying the stage until you get it right. A nice touch I found was that when failing, the world may begin to fall apart, or instructors will begin to be dissatisfied with PaRappa until he raps better. Achieving “Cool” can be tough, but you might need to try a new combination of raps a couple of times. Once in the “Cool” setting, the world around you will change, and PaRappa will begin to free-rap. Keeping the “Cool” rating through the whole song can be tough, but many times just pressing random buttons to keep PaRappa rapping was the best option. The way the game determines if a rap was good or not can be confusing. With some lines of music, I pressed one button and my score increased, while other times I pressed each button to the time of the beat and my score decreased. It’s confusing, but by the end, I think I started to figure it out. The fourth level in the game is by far the hardest, and most troublesome. The timing of the notes in this level seems completely off. Even trying to hit the notes as they come isn’t satisfactory, as you’ll need to try out new combinations of raps to succeed. I spent way too much time trying to get passed this level, and even more time trying to get the “Cool” rating in this level. It’s a confusing level overall when the rest of the game seems to work fine for the most part. To get past the level, I found playing the notes far before the game wanted me to, to work well. This works to get the “Good” rating, but to obtain “Cool”, you’ll be randomly trying new combinations. It didn’t feel like there was a correct way to complete it, as I was constantly getting “Awful” ratings. It is just confusing that this level is so hard, when each of the other five levels weren’t as bothersome. Though the cutscenes are not upgraded to HD, they still look good. It would have been nice to see them upgraded, but they don’t look bad. 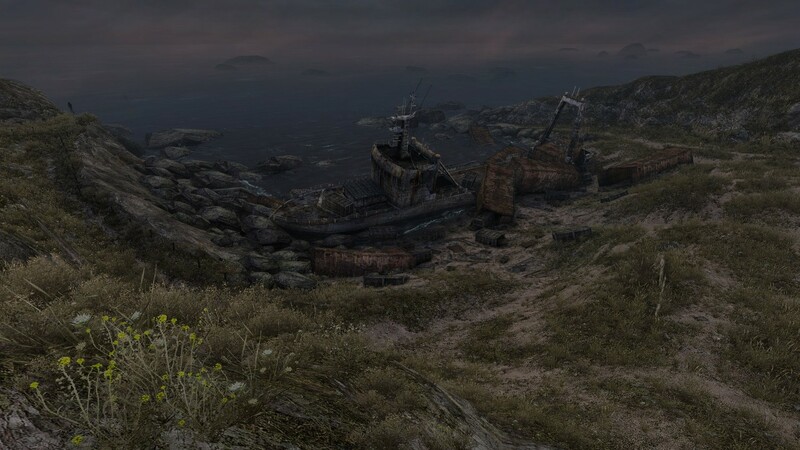 The main game looks incredible with the Remastered version. If we were to get a new PaRappa the Rapper game on PS4, I would imagine it looking a lot like this. Each music track associated with each level is catchy and had me bouncing along to the beat. My favorite stage was the second level, where PaRappa is learning how to drive a car. The music is jolly and I found myself listening to that particular song a lot. In the menus, a “Feel the Beat” and “See the Beat” options are available. The former rumbles your controller with the beat of the song and the latter enlarges the icon that the beat moves to. I didn’t find either all that helpful, and would recommend playing without the rumble feature. Once you complete the game, a few remixes can be found in the stage select. The songs don’t change drastically, but they are worth exploring. PaRappa the Rapper Remastered doesn’t take long to get through, if the fourth stage goes smoothly for you. Songs only take a few minutes to complete and sometimes the cutscenes seem longer than the gameplay. After you complete the game and finish each stage with a “Cool” rating, there isn’t much else to keep you around other than a few miscellaneous trophies if that interests you. PaRappa the Rapper Remastered is beautiful to look at, and the soundtrack is catchy enough that I’ll be listening to these tunes for some time.